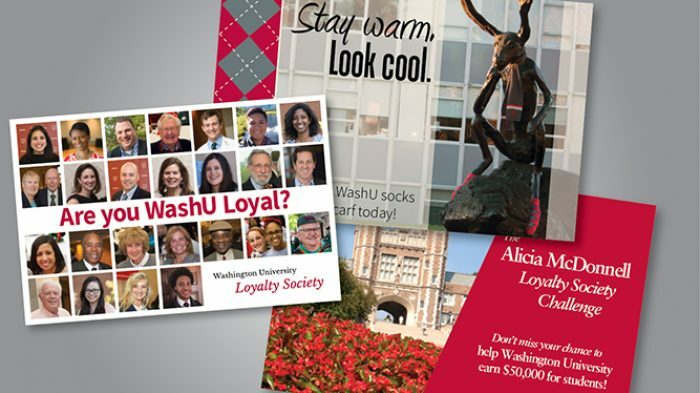 Washington University maintains a substantial communications plan, communicating with prospective students and alumni groups approximately 30 times each month. With such a large volume of pieces, they need a provider that can reliably handle the design, print and fulfillment with quick deadlines and shifting schedules. Because of our cutting-edge technology and expert staff, we are able to combine and execute concept and design solutions, data analysis and print/fulfillment within just 5 days of receiving files. This is what set us apart from Washington University’s previous marketing and print provider. Our commitment to exceptional customer service and agile turnaround times allows WashU to stay on time with their aggressive schedule — without compromising quality. Send us a message, we'd love to chat!